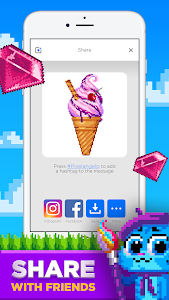 Pixelangelo color by numbers - this game allows one to relax or distract. 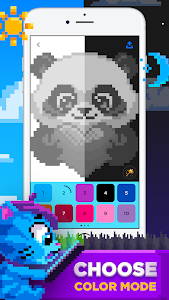 You can color black and white pictures using all colors of the rainbow to get full finished paintings. 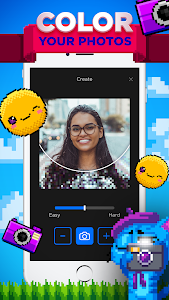 Pixel Pen app is free and installs easily on your smartphone and doesn’t take up a lot of memory. Both adults and kids will enjoy 3d coloring. The basis of the game - a large selection of pictures to colour. Choose the most adorable images and unleash your imagination, or paint by numbers - breath life into your picture with bright colors. With a large selection of colors, your palette will not be limited to only seven colors of the rainbow. Select the necessary shade and slide you finger along the cells you wish to paint. Choose colouring by numbers and watch the picture turn out just as the author imagined. Small details can be enlarged so that even the tiniest portions of a picture take on new colors. 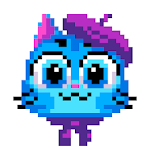 Save a finished picture and show it off to your friends. No need to carry around a paper coloring books and pencils. Just grab your phone and start painting a picture at your convenience. No need to be online - you can decorate a picture puzzle without the Internet - offline. Colour therapy has relaxing properties and relieves stress. Games - colouring for both adults and kids! A large selection of coloring pages not just for girls, but for boys as well. Toy cars for toddlers, animal, princesses for girl, a mandala or simple patterns - everyone will find a picture to their liking. Soothing coloring - a first class antistress device which will always be in your pocket. 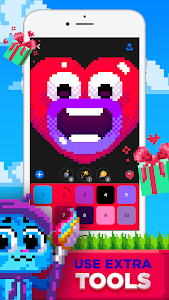 We have something new for you - totally new coloring book game. Faster, brighter and more fascinating! Your reviews help us to make the app better. If you have a moment then please, leave a comment or a suggestion to let us know what features and changes you'd like to see in the game! 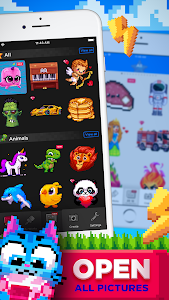 Dive deep into the element of art and make the world a bit more colorful with Pixelangelo! 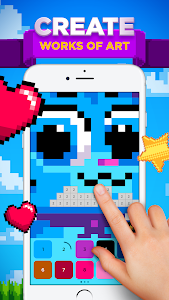 Similar to "Pixelangelo: color by number, coloring book"